And I feel it only somewhat helped. From what I gather synteny is about the order of genes, relative to their homologous genes? Or their location in general? Syntenic blocks contain the same genes of order between chromosomes of different species. 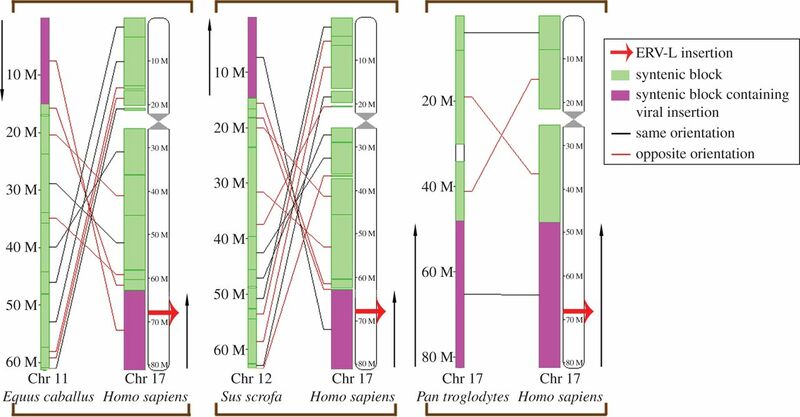 The figure above shows (left to right) syntenic block shared between human chromosome 17 and corresponding chromosomes in three other mammals (horse, pig and chimpanzee). And as expected, the more distinct the species (such as pig and horse) the more disarranged the order of genes are.